Kim Lee Ozawa's interview published in Huffington Post. Kim Lee Ozawa's "Scandal" Fashion Credit in InStyle. Kim Lee Ozawa's "Revenge" Fashion Credit in InStyle. 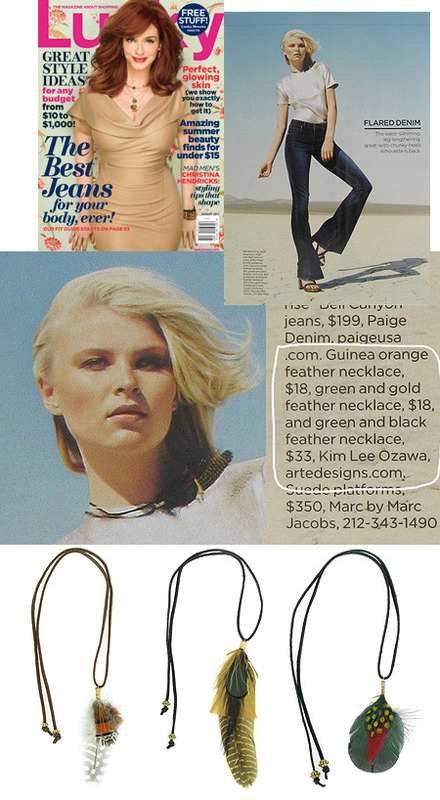 Arté Designs Feather Earrings are featured in Lucky Magazine (page 82, How To: Wear Accessories). Click to see our feather earrings collection. 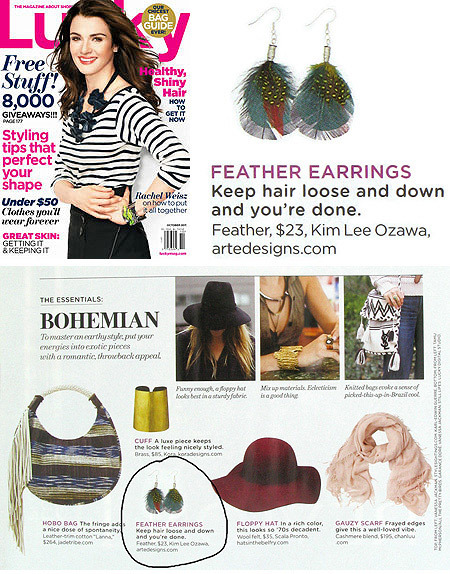 Arté Designs Feather Necklaces are featured in Lucky Magazine (page 94). Click to buy necklaces like these. 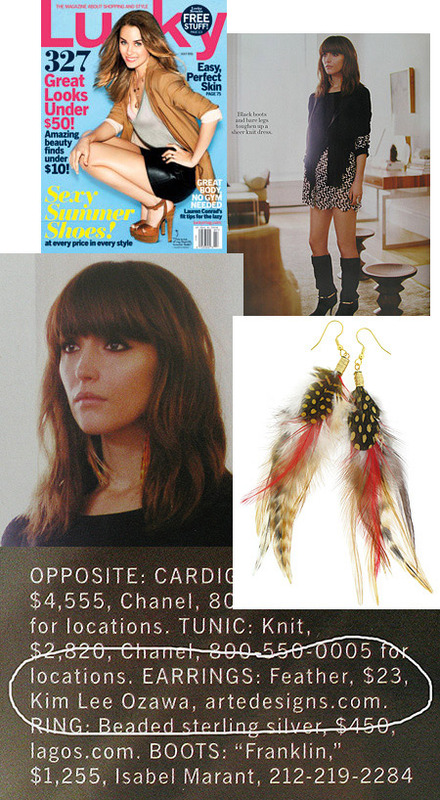 Actress Rose Byrne wears Arté Designs Feather Earrings in Lucky Magazine (page 108, credit on page 109). You don't have to spend a fortune on jewelry to have great style. Arté Designs $18-$33 Feather Necklaces are all you need to complete a $744 outfit and Arté Designs $23 Feather Earrings perfectly accessorize a $9,080 ensemble. Model Bambi Northwood-Blyth wears Arté Designs Feather Earrings in Siwy Denim's Lookbook. Designer Kim Lee Ozawa's handmade jewelry featured in Huffington Post, Lucky Magazines, and Fashion Credited in InStyle.com.